There are several vehicles on the road that try to promise you fun, but the Fiat 124 Spider is one that delivers. Just look at it! This amazing roadster is a car that begs you to get in and drive off to wherever you want to go. 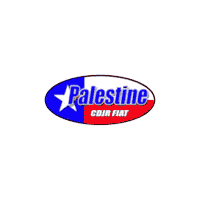 With the help of our team at Palestine Chrysler Dodge Jeep Ram Fiat, you’ll be able to have all the fun you want in the Fiat Spider 124 of your dreams around Jacksonville, TX. Picture the Italian style you want to experience when you head out for a drive. Does the Fiat 124 Spider come to mind? It should and when you see our team today, you’re going to see why. This impressive sports car is sumptuous, inviting, energetic, and covered in quality materials. This car oozes style and offers you the pure driving joy you want to feel when you head out on the road. We’ll be more than happy to put you behind the wheel for a test drive that will give you the ride you want and offer you the fun you’ve been looking for. Too often you see sports cars that aren’t offered with a convertible top that can give you the drive and pleasure you want. The Fiat 124 Spider is a convertible model in every trim. For the 2018 model year, a new Red Top Edition is offered while the Lusso and Abarth models see the options lists reconfigured to give you more in each model. We’ll be more than happy to offer you a test drive in any model you want so that you can have the drive you’re looking for. Come in and find the convertible drive you want to enjoy today. Most convertible models are loud inside the cabin, but the Fiat 124 Spider you drive around Jacksonville, TX is a car that’s quieter than you’d ever expect. This car softens the noises with additional sound insulation, thicker side glass, and an acoustic windshield. Once you take this car out on the highways, you’re going to notice the difference and know that this can be a great car for you to take on long road trips. Let’s not start your long road trip with the test drive, our sales team has work to do. Now that you know you want to drive the Fiat 124 Spider, you need to visit our dealership of Palestine Chrysler Dodge Jeep Ram Fiat today. We can make it easy for you to have the financing you’re looking for and choose the trim level that gives you the most fun. This car is a pure joy to drive that will reach in and make you feel alive. It all starts with a single visit to our dealership for you to have the joy on the road you’ve always wanted; are you ready?